Nada Surf play the Nottingham Rescue Rooms, 12th November 2005. Photographs taken at Nottingham Rescue Rooms on the 12th November 2005, early in their extensive UK and Europe-wide Autumn 2005 tour. There is also a collection from Manchester, taken a few days earlier. At both gigs they were supported by John Vanderslice. 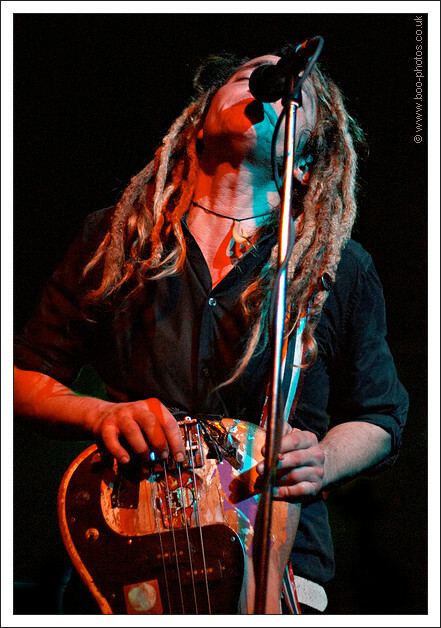 See Nada Surf's web site at www.nadasurf.com. Please do not embed images from this site onto message boards, blogs or web pages without written permission. Please click on the thumbnails below to take you to larger views and you can optionally view the full set as a slide show. If you start with the first thumbnail at the top left, you can view the whole set in sequence. Permission is required for all image uses. Please contact Boo if you'd like to use any images.